Ambler, PA – People talk about many things with their loved ones: from day-to-day details to big events. Sharing stories with those who matter most isn’t just important today; it will be especially significant when it’s time to commemorate a life. URBAN FUNERAL HOME is proud to announce its participation in Have the Talk of a LifetimeSM, a national effort to encourage families to have conversations about life and what matters most. These discussions can help families make important decisions about how they wish to remember and honor the lives of their loved ones. URBAN FUNERAL HOME is pleased to offer individuals and families in the community a free brochure, Have the Talk of a Lifetime that will help them begin a conversation about life. The Have the Talk of a Lifetime campaign is sponsored by the Funeral and Memorial Information Council in a partnership with the International Order of the Golden Rule and the National Funeral Directors Association. The Urban Funeral Home is a trusted member of both these organizations. The Urban Funeral Home has been dedicated to honoring life in the community for over 60 years. Generations of families continue to depend on, and receive, the same exceptional service. 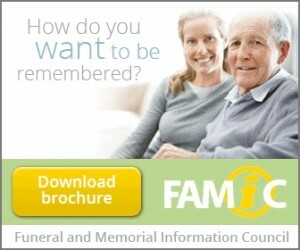 The Urban Family will be there to help you to make good decisions when planning a funeral.